What a find! A main level condo that is south facing to bask in the warm glow of the sun in winter! Community is in a gorgeous and quiet setting with mature trees, a resort-like pool, and is super convenient to amenities like shopping, walking trails, and schools. At 1252 square feet this lives large, with an ideal open floor plan, gorgeous hardwood flooring throughout the main living areas, and immense windows that bathe it in light The island kitchen boasts oak cabinets with Whirlpool appliances, tile counters with stainless under mount sink, built-in desk, and slate tile backsplash. The great room can accommodate the largest of TV’s. The spa-like 5 piece master bath is impressive, as well as the large master walk-in closet. 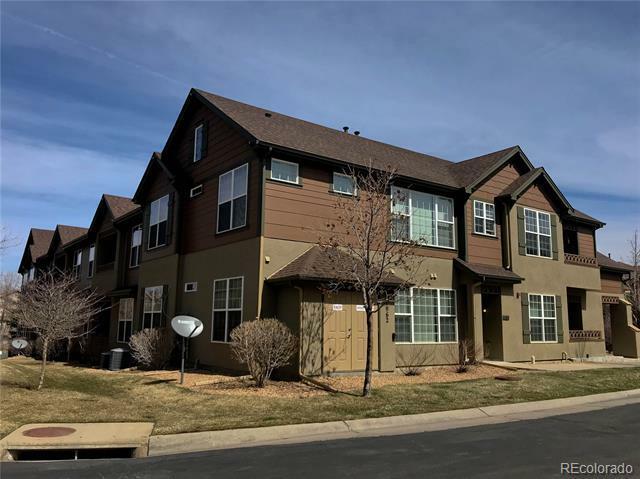 Other amenities include brand new carpeting in both bedrooms, covered patio, large laundry room (washer/dryer to be provided upon request,) attached 1 car garage, A/C, and neutral throughout. Available immediately. No pets.